We will now explain what equipment we are currently utilizing and how it works to detect entities! The paranormal field is constantly growing, with new and updated equipment constantly becoming available. There is no instrument to specifically detect spirits; therefore, we rely on equipment to detect fluctuations in the atmosphere caused by spirits in order to detect their presence. For example, spirits affect temperature, ion counts in the air, and even create disturbances in the natural electromagnetic fields of the earth. Thus, we use instruments that are intended to detect these fluctuations such as: thermal scanners/thermal imagers, air ion counters, and EMF Meters. Digital voice recorders record voices which can not be heard with the naked ear. The new trend which is now being utilized by ghost hunters is to integrate multiple instruments into one single device. By integrating multiple detection instruments into one single device, this makes ghost hunting equipment more affordable, and easier to use. These pieces of equipment are used to aid us in the collection and analyzing of data to help us explain paranormal phenomena! Ultraviolet Flashlight- This flashlight has 51 ultraviolet LEDs which allows ample illumination for use with our full spectrum camcorders. 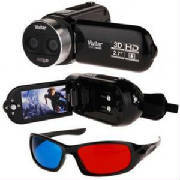 3D Full Spectrum Camcorder- This is a 3D camcorder which has been converted to full spectrum. This allows us to have a better possiblity of capturing entities on video because we are able to see a wider spectrum of light in which spirits may manifest. Sony Full Spectrum DVR Camera- This Sony DVR camera has been converted to full-spectrum by adding ultraviolet (UV) lights, in addition to the infrared (IR) lights, allowing this camera to pick up the full spectrum of visible light including infrared and ultraviolet light. This is believed to be more effective at capturing spirits than by just using infrared alone. Full Spectrum Illuminator- This illuminator consists of six UV LEDs, six IR LEDs, three red LEDs, three green LEDs, and three blue LEDs which emits a light that takes complete advantage of the full-spectrum camcorder's ability to capture all of these light frequencies. Ghost Touch 2- This piece of equipment is an even more sensitive version of the "Ghost Touch." It has an attached antenna which picks up EMF fields which are believed to be associated with spritiual presences. When a spirit touches this device, it sets off both a visual and audio alarm to alert the investigators of the spirit's presence. 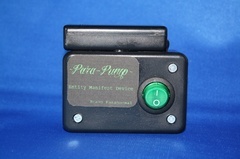 ElectroMagnetic Pump-This is an electromagnetic pump. It creates a field of electromagnetic energy using two AAA size batteries so that ambient spirits may feed off of it, thus allowing them to have more energy to talk and respond to our questions. 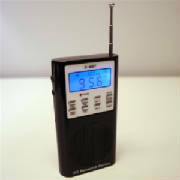 Spirit Box Model B-PSB7 (SB7)- This spirit box is a great tool for attempting communication with paranormal entities. It uses radio frequency sweeps to generate white noise which theories suggest give some entities the energy they need to be heard. When this occurs you will sometimes here voices or sounds coming through the static in an attempt to communicate. It operates with both a Forward or Reverse frequency sweep to creat white noise for the spirits to communicate through. Mini Ion Generator- This ion generator creates negative ions which emulates a thunderstorm. During a thunderstorm, negative ions (O3) is created when lightning strikes and chemically changes oxygen (O2). This is theorized to give spirits energy and allow them to manifest more frequently. 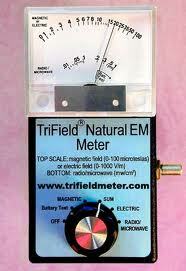 3 axis EMF Trifield Meter- This meter measures Magnetic fields, Static Electricity, and Microwaves/Radiowaves; hence, the name "Trifield" Meter! 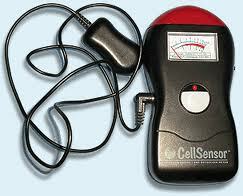 This meter is an excellent addition to our arsenal because it only detects NATURAL EMF! It will not detect power lines or any other type of EMF. The downfall is that this meter detects the 3 magnetic axis of the earth and must remain stationary. If it is moved in any direction, it detects the changes in the magnetic field and gives false readings. This meter is ideal for residences and the like, where it may be placed and monitored by an infrared camcorder; however, it detects lightning, which may gives false results. MagTemp Mel8711- This unique meter is a breakthrough in paranormal detection equipment! It measures both fluctuations in EMF fields and temperature simultaneously! A great feature; however, the problem is that when it measures both at the same time, there is a lag in the response. Most of the time I just use the EMF mode because it gives lightning-fast readings. 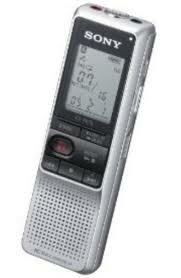 Digital Voice Recorders(4)- We employ an array of digital recorders when investigating an area. Digital voice recorders are used to capture Electronic Voice Phenomena (EVP), which are voices that can not be heard by the naked ear. 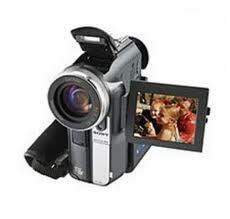 Night Vision Camcorders(4)- The four night vision camcorders we use, all Sony, allow us to record video and potentially capture visual proof of paranormal activity. 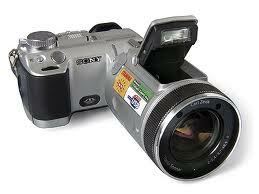 We use two 8mm camcorders, one MiniDV camorder, and one DVD camcorder. I have managed to capture EVP on these camcorders! Sony Cybershot DSC-F717- The Sony Cybershot DSCF-717 is a digital camera that allows us to take pictures and videos in night vision with the same effect as the night vision scope. It uses IR light to allow us to see in total darkness. 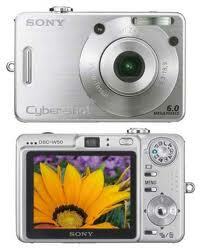 Sony Cybershot W50- This camera is a simple point and shoot model camera which is capable of capturing infrared light. This give a little more credibility to orbs caught in photos taken by this camera. Nikon CoolPix P100- I do not really feel comfortable relying completely on digital photography. Dust, rain, debris, and high humidity tend to create false orbs. Although, it is definitely capable of capturing real orbs, the presence of an orb doesn't neccessarily mean the place is haunted. This being said, digital photography is a milestone in paranormal investigation because photos show up instantly for review and it is cheaper than standard 35mm photography; there are no film purchasing and developing expenses. Infrared Spotlight, Flashlights- We utilize the full use of our infrared equipment by using various IR flashlights and a one-million candlepower spot light which will illuminate any area with bright IR light, but keeps the area dark to the human eye. 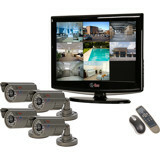 8 Channel DVR Security System with Infrared Cameras- This DVR system is built into the 19" monitor with four wired infrared cameras and four wireless infrared cameras. This allows us to monitor and record up to eight different areas to see if paranormal activity is present. 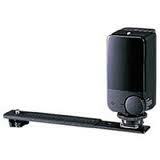 External IR light for Sony HandyCam(2)- This IR light extends the range of our night vision camcorders up to 40'. This helps a lot so that we can see where we are walking in complete darkness. 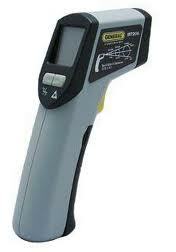 Non-Contact IR Thermometer- This non contact thermometer allows us to detect and prove cold spots at a distance. It is equipped with a laser, so that we can see where we are measuring.